Today’s families are faced with a multitude of challenges that place great demands on their resources. Strong family systems provide support for successfully meeting these demands and for encouraging the healthy emotional and physical growth of family members. We believe that strong families, which provide a support system to guide individuals through various life stages and life events, are the foundation for strong communities. Building positive, healthy interactions between family members is an important key to family preservation. The Family Development Program is designed to focus on strengthening family and individual relationships, with the objective of building healthy families. The Family Development Program is flexible and responsive, offering services within the family that address specific needs. Service delivery is based on an Integrated Case Management approach, which is centred on and driven by the young people and families we serve, and closely involves the significant others and professionals in their lives. Family Development Program staff help the family determine its own strengths and direction, and support the family in making practical and lasting change. Family Development Program staff are qualified professionals with experience in providing a wide range of family support services. The Family Development Program is open to families in Burnaby and New Westminster by referral only. Referrals to the program are accepted from Ministry of Children and Family Development teams in Burnaby and New Westminster. Many children struggle with issues related to their emotional, behavioral and mental health, which can cause significant distress and impair development and functioning at home, at school, and in the community. 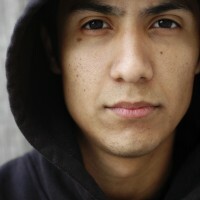 Through prevention, early identification and intervention efforts, the burden of their struggles can be reduced. The Child and Youth Access program helps children, youth and families deal with mental health issues, including behavioral, psychological, and emotional challenges. The program provides timely, appropriate and effective assistance that respects and promotes the independence and self-determination of participants. Call the Ministry of Children and Family Development (Burnaby Child and Youth Mental Health) at 604-660-9544. Ask the receptionist or person answering the phone for Child and Youth Mental Health Intake. Once transferred, ask for a referral to the Child and Youth Access Program. The Intake Clinician will complete all of the referral information. If the Intake Clinician determines that the referral is appropriate for Child and Youth Access, he/she will forward the referral to the Child and Youth Access Coordinator. The Child and Youth Access Coordinator will ensure that the person referred is contacted in order to commence program services. 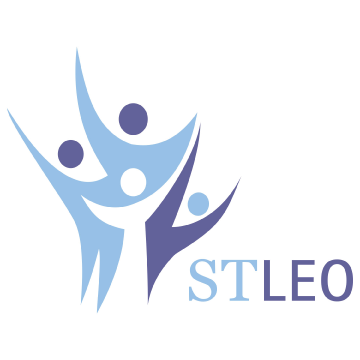 STLEO’s supervised access service provides a safe, caring environment for children in care to connect with their families. Our staff are available to bring children from their caregivers to visit sites within the community. 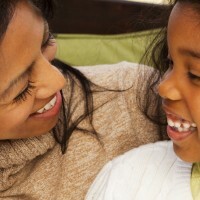 The supervised visit staff may provide parenting coaching and information about child development. The intent is to encourage a meaningful positive connection for families. Our staff have first aid certification, Nonviolent Crisis Intervention training, and post-secondary education in the field of child and youth care.